Quick update: in celebration of Open Access Week 2014, we’re waiving publication fees for early career researchers until November! Recently, we’ve noticed more and more calls for greater Open Access (OA) participation from earlier career researchers, post-docs and graduate students. Thankfully their voice is increasingly being heard on many issues. Let’s also not forget the Open Letter to the AAAS, protesting the pricing and licensing model for their first Open Access journal led by Jon Tennant and Erin McKiernan (busy lady) and signed by 114 researchers, many of them at earlier career stages. And finally, researchers such as Jessica Polka and Kristin Krukenberg, provide a great example of “post-docs doing it for themselves”. Togerther with a team, they are organizing the Future of Research Symposium, October 2/3 2014 in Boston, to ensure that the voices of junior scientists are heard in the ongoing dialog about policies that shape the scientific establishment. With these words ringing in our ears, here are 7 different ways for interacting with the literature that provide earlier career researchers with more ways to shape their future. 1. Publish OA. There’s a great deal of young talent advocating for OA but research shows that when it comes to actual publication, multidisciplinary OA titles (so called “megajournals”) tend to attract more experienced authors. This is easy to understand since the current promotion and tenure system overvalues well-established high impact journals and doesn’t recognize that articles and individuals can have significant impact, regardless of where they are published. So what happens to younger scholars when it comes to publishing OA? Firstly, they usually don’t get to choose the publication venue, that’s usually a leadership prerogative. In some respects, it’s probably easier for a senior author to persuade a junior one to publish OA than the contrary. This also helps to explain why early career researchers can appear very conservative because their career depends on acceptance by conservative authorities. Therefore, change needs to be driven from the top down, as well as from the bottom up of course. Additionally, the down-sides of handing over copyright to a traditional publisher may only become apparent after restricted paid access has reduced the reach of their work. With OA, authors keep their copyright and content is free for everyone to read and re-use with attribution. In the world outside of scholarly publishing, first achievements are not the last and there’s recognition that practice makes perfect. Even within scholarly publishing there’s a growing realization that there doesn’t have to be a conflict between being open and being successful. At ScienceOpen, we believe that our system of publication within about a week of submission (after an internal editorial check) with DOI and Non-Anonymous Post-Publication Peer-Review provides a less stressful way for junior faculty to build their publication history. We also offer additional support that earlier career researchers may find useful. We have free workspaces where authors can collaborate on their articles and submit them to us or elsewhere as they prefer. Unlike some OA journals, we offer proofs and an iterative correction process before publication which also includes complimentary copy-editing and language polishing if required. After publication, two minor or major Versions are included. And, we have an active social media program that we use to advocate for OA and promote our author’s work. We enjoy interviewing our lead authors and are also happy to interview authoring teams or team members with a strong story to tell, just ask us. Naturally this effort works best if we join forces with your own personal social media streams. Full and partial fee waivers are available to those who demonstrate need, for those in low or middle income countries and in less well-funded disciplines. 2. Choose more progressive forms of Peer Review. Anonymous Peer Review encourages disinhibition. Since the balance of power is also skewed, this can fuel unhelpful, even destructive, reviewer comments. 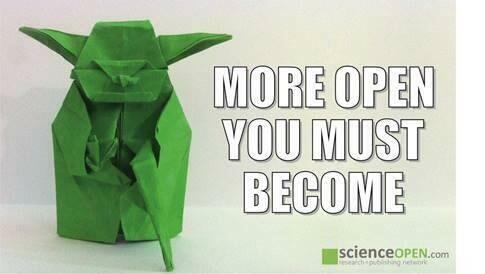 At ScienceOpen, we only offer non-anonymous Post-Publication Peer Review. Authors can suggest up to 10 people to review their article. Reviews of ScienceOpen articles and any of the 1.3mm other OA papers aggregated on our platform, are by named academics with minimally five publications on their ORCID ID which is our way of maintaining the standard of scientific discourse. We believe that those who have experienced Peer Review themselves should be more likely to understand the pitfalls of the process and offer constructive feedback to others. 3. Participate in conferences. As an early career researcher, paying to attend a large international event can cost upwards of $2000 which makes it a luxury activity often requiring travel scholarships etc. If you get the opportunity to go, we recommend reading this recent article about live tweeting from the event before-hand so you can bring those who are not there into the conversation. And, if you can’t go to an event, don’t despair, because the same article describes ways to ask remote questions. Also, let’s not forget that posters are a great way to get involved in a meeting, ScienceOpen even rewards the best with prizes! 5. Participate in online Groups. ScienceOpen has aggregated over 1.3 million (and growing) OA articles from publishers such as PLOS, F1000 Research, BMC, peerJ, eLife to name but a few (from PMC) and physics articles from ArXiv. We’re intrigued to see what discipline specific conversations emerge when the literature is on the same platform and researchers form Groups to discuss it. At ScienceOpen we welcome earlier career researchers to take these roles. They can start a discipline in their niche area, invite others to join their group from the over 2 million networked on the platform already or from outside, and use the Search functionality to curate existing content into themed collections based on criteria they pick (and explain using comments). 6. Become a Collection Editor. The natural evolution for a Group that is actively curating and discussing existing content is to call for new content so that the collection “grows and lives” and we invite applications for these roles from researchers at all career stages. Getting closer to the publishing process by managing and building a Collection is a great way to raise your profile in your community of choice and build relationships with others. 7. Keep advocating for change. Last, but by no means least, continue to advocate for change. 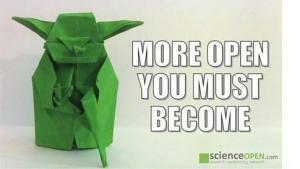 Join ScienceOpen in signing open letters to reform journals that don’t “get” OA. Advocate for initiatives such as DORA (San Francisco Declaration on Research Assessment, sign it too) that works to break the stranglehold of the Impact Factor. Let’s keep up the pressure! Above all, enjoy making Science more open and if you want to remind yourself why, watch this short and funny video from Sebastian Alers, a member of our Editorial Team.